This is a recipe I kind of wish I didn't know how to make. This is too fast, too easy and too yummy. I learned this recipe when I was a brand new mama, desperate for a treat and trying to get a shower, meal, laundry and my own nap into my tiny gentleman's sporadic nap time. A bit of googling, a few trials and errors and a few more successes, I have a tiny bite of cake ready in less than 2 minutes. Fabulous! 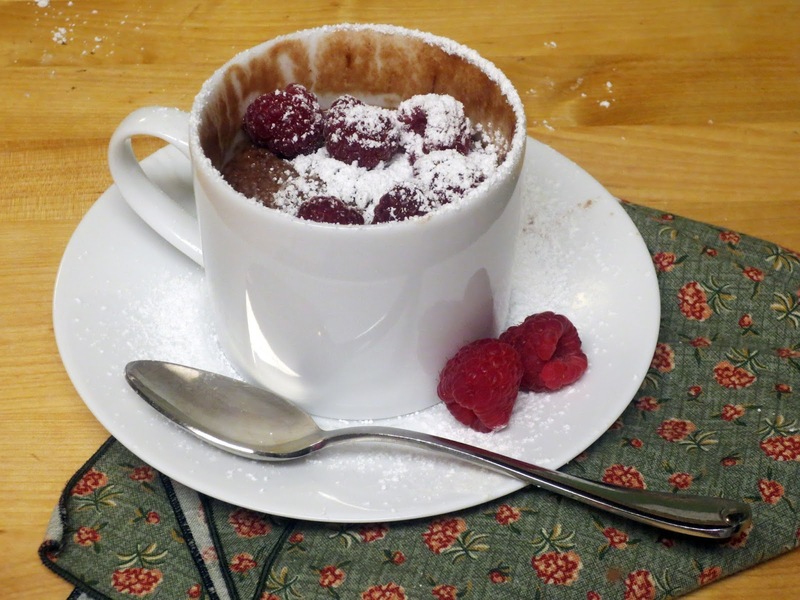 In your mug, mix together flour, cocoa powder, sugar, baking powder, salt and chocolate chips. Then mix in yogurt and milk. Stir until the mixture is smooth. Scrape down sides and microwave for 50 seconds. Eat. Marvel at the magic that you just made a tiny cake in 50 seconds. Relax. Sprinkle with powdered sugar and a few raspberries if you want. Or top with frosting if you have any hanging around. It's not too sweet. If you want it sweeter, add another teaspoon of sugar. This is only 185 calories. Awesome. An excellent twist is to put a dollop of peanut butter in the middle of the batter before microwaving. Awesome. 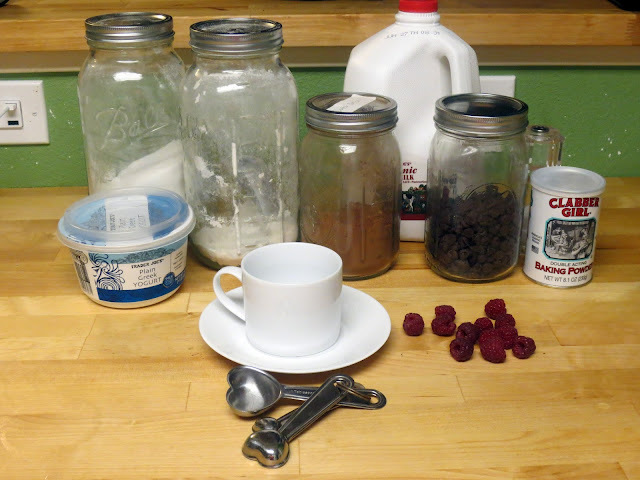 You can swap in a tablespoon of coffee for one of the tablespoons of milk. Also awesome. Since the investment of time and money in this recipe is close to zero, I feel great experimenting with this tiny bit of dessert. Chocolate Mug cake was so good when I was pregnant. This recipe looks way better! Going to have to try it.